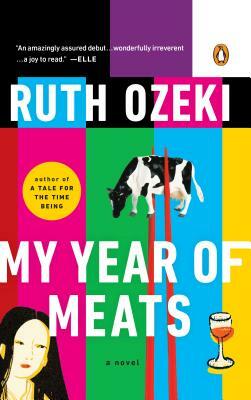 Ruth Ozeki is a novelist, filmmaker, and Zen Buddhist priest. She is the award-winning author of three novels, My Year of Meats, All Over Creation, and A Tale for the Time Being, which was shortlisted for the Booker Prize and the National Book Critics Circle Award. Her critically acclaimed independent films, including Halving the Bones, have been screened at Sundance and aired on PBS. She is affiliated with the Brooklyn Zen Center and the Everyday Zen Foundation. She lives in British Columbia and New York City. Visit www.ruthozeki.com and follow @ozekiland on Twitter.